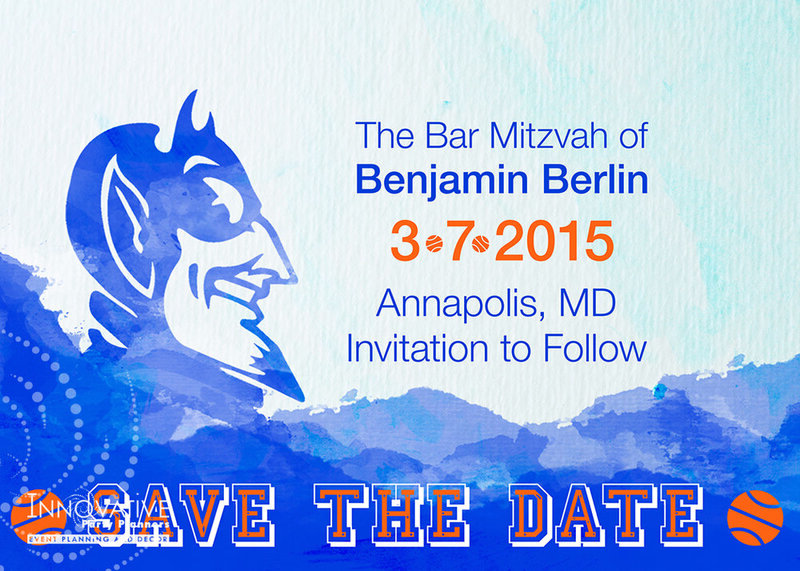 Flashback Friday and just in time for March Madness in Charlotte NC, we bring you Ben Berlin’s Bar Mitzvah celebration from 2015. We began planning his event several seasons ago assisting with venue selection, vendor selections, save the dates, invitations, kippot, room layout, decor design and more. Ben and his family are Duke Blue Devil Fans and wanted that apparent. Ben’s logo design by Innovative Party Planners, inspired by the Duke logo. Special thanks to Rachael Spiegel Photography for capturing these great photos.